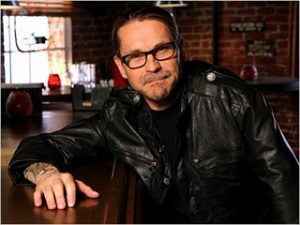 Kurt Sutter & John Shiban Developing Action/Horror Drama For FX!! Attention all ‘Sons of Anarchy‘ fans!! Kurt Sutter, the driving force beind your favorite show, is getting together with John Shiban (‘Hell on Wheels‘) to create a new scary and exciting show for FX titled, ‘Lucas Stand‘. Sutter created this idea that follows the life of a ex special ops soldier that jumps throughout time to kill demons. This sounds amazing. Sutter and Shiban hooked up after Sutter blasted AMC over some people getting fired their series. Glen Mazzara from ‘The Walking Dead‘ getting fired caused Sutter to speak his mind, which led to Shiban leaving ‘Hell on Wheels‘ after Mazzara’s dismissal. But it seems all of that bad turmoil turned out something incredible and I for one cannot wait to see this project come to life. As a fan of ‘Hell on Wheels‘ and ‘Sons of Anarchy‘, I am personally excited to see new and gripping shows coming to FX. I believe that television is turning a corner due to the success of shows like ‘The Walking Dead‘ and ‘American Horror Story‘. I cannot wait to see what else these creators have in store for us. Let it also be known that Katey Sagal, Sutters wife, and Belle Zwerdling are also in development for a dark comedy called ‘Diva. Clown. Killer‘ for FX. This entry was posted on Tuesday, February 26th, 2013 at 5:58 pm	and is filed under News, Television. You can follow any responses to this entry through the RSS 2.0 feed. You can skip to the end and leave a response. Pinging is currently not allowed. So it’s an Angel, Supernatural, Reaper clone? Doesn’t sound all that new and exciting to me. « ‘Walking Dead’ Season 3 Recap – Episode 11 ‘I Ain’t A Judas’! !